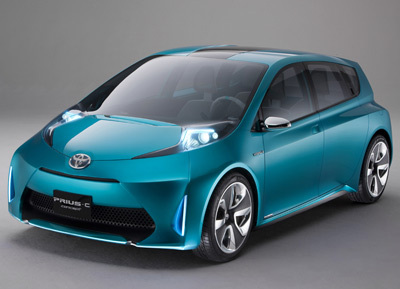 The Toyota Prius C Concept, with c representing a "city" - centric vehicle, was a preview of a new hybrid production car. 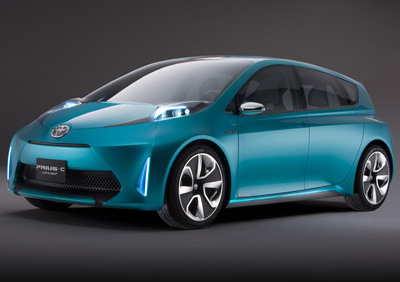 The Prius C Concept is designed to appeal to a younger audience and people "who want an eco-sensitive, high-mileage, fun-to-drive Prius". 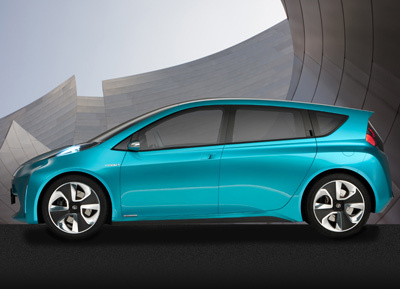 The price will also be lower than the current Prius. 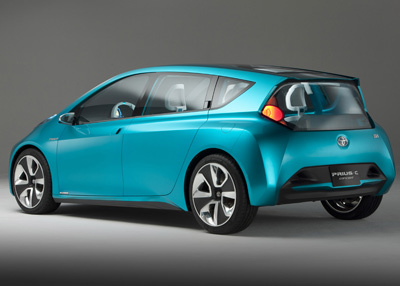 The Toyota Prius C concept was designed at Toyota's European design studios, ED2 based in the South-East of France. The sharp angles of the concept, coupled with the futuristic front end make it quite a stylish little chariot for the eco-warrior. 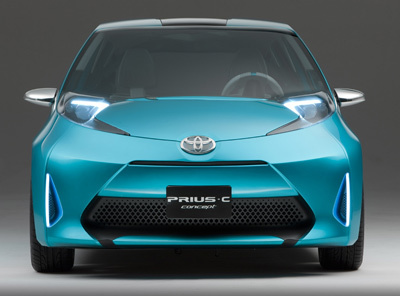 The headlights, which are mounted up near the windscreen, give the Prius C Concept a distinctive appearance. 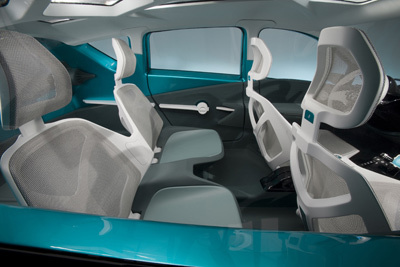 Inside the Prius C Concept is room for four adults, and because there are four full-size doors, entry and exit is easy. Thanks to glass roof panels, and expansive front, rear and side windows, the interior is nice and bright. 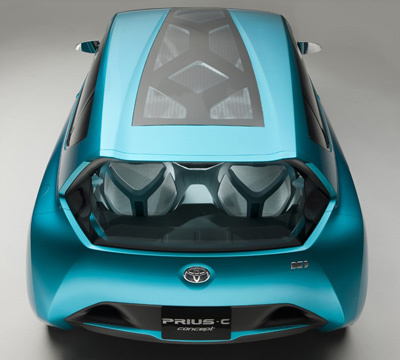 The seats of the Toyota Prius C Concept are made up of a solid and exposed frame which is then covered in a see-though mesh material. Probably not the best option for cold climates, but great on hot summer days. 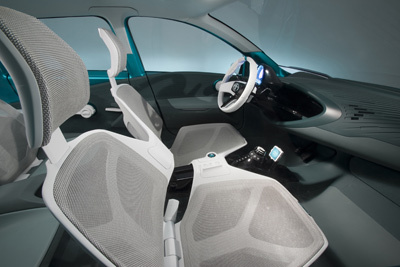 Interestingly the interior of the Toyota Prius C Concept also features an unusual design theme where the exterior bodywork seems to intrude into the rear of the interior. A diagonal line runs downward, starting at the base of the b-pillar, which clearly shows the blue of the bodywork inside the vehicle.